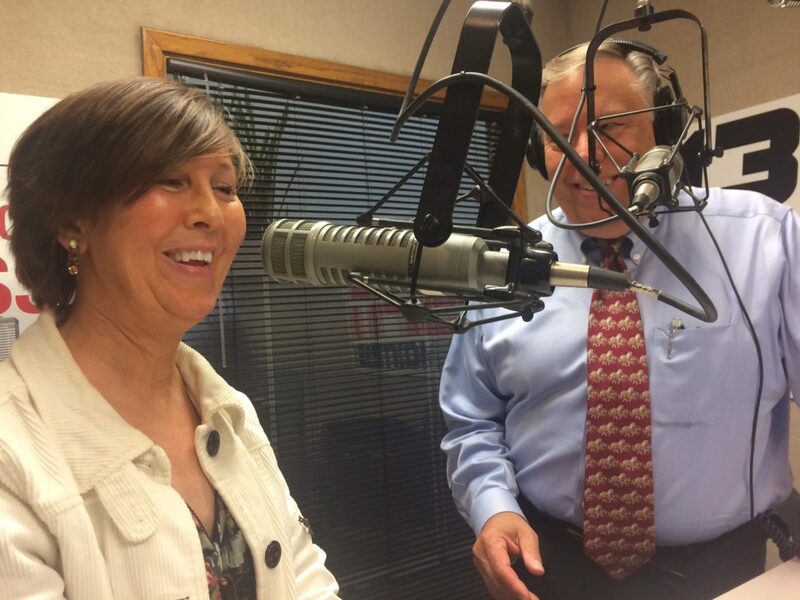 Freelance reporter Cindy Hadish and Insight on Business the News Hour host Michael Libbie before talking on Oct. 9, 2017, on Libbie's program about Hadish's story warning of a pending 'Alzheimer's tsunami' in Iowa. Taken in the studios of KPSZ Praise950AM radio in Des Moines. The Insight on Business the News Hour, hosted by Michael Libbie, featured on its Oct. 9, 2017, program an IowaWatch/HuffPost story about the feared growth of Alzheimer’s disease in Iowa. The story was published earlier that day and Libbie invited story author Cindy Hadish and Iowa Watch executive director-editor Lyle Muller to talk about the story. Go here to listen to a podcast of the interview on Praise950AM, KPSZ radio, in Des Moines, Iowa. HuffPost published the story during its “Listen to America” tour, which made a Des Moines stop on Oct. 9. Read more about the HuffPost “Listen to America” tour here.